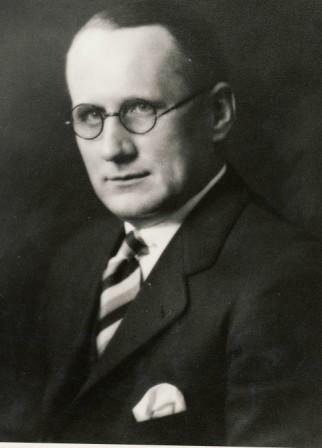 Dr. Andrew P. Davies played football at McGill University before returning to his native Ottawa in 1915. He became a fine, rugged player for the Rough Riders. He then continued on in an executive capacity until 1948. As a player, officer, and team physician Dr. Davis devoted considerable time and money to the Ottawa club. He was known for providing free medical care to former and elderly Ottawa players. After his retirement he remained an honorary officer until his death in 1956. In his later years, Dr. Davies was honoured for his fine contributions to Canadian Football at the 1954 Grey Cup Dinner. He was presented with a plaque “For Outstanding Service to Rugby Football in Canada”.